A new trend which is gaining increasing acceptance in management thought is the concept of Design Thinking. This concept has the potential for bringing more holistic right brain thinking to innovation in business and management. An insightful article on this subject, “Design Thinking” by Tim Brown, CEO of IDEO, an innovation and design firm, appeared in Harvard Business Review. The present essay is based on this HBR article, but reviewed in the light of an integral approach to management. Key Perspectives: Meaning of Design Thinking; Process of Design; An Example of Design Thinking; Integral View: An Experiential Perspective. The concept of design is not entirely new to management. The discipline of product design or industrial design is a well-established function in modern management practice. But product design is predominantly an aesthetic disciple which comes at the end of the product cycle to give a pleasant outer appearance to the product. But the new concept of design thinking is a more holistic, human-centric, customer focused and market-oriented approach to innovation, problem-solving and product development, which spans the entire creative cycle from conception to marketing. The disciple of product design is the work of specialists in a single field. But design thinking is a multi-disciplinary endeavour of many specialists. Tim Brown explains the essence of design thinking as “a discipline that uses the designers sensibility and methods to match people’s needs with what is technologically feasible and what a viable business strategy can convert into customer value and market opportunity.” This way of thinking is an “approach to innovation” that “goes beyond aesthetics.” The design thinking includes aesthetics of product design but it is much more than mere aesthetics; it is a creative process witch leads to break-through innovation. Identify clearly the problem, context and the environment: What needs to be done? What are the constraints and opportunities? What has changed or what soon may change? Observe the world around: What people think, feel and do? What are their habits? What they need and want? From the beginning build and work with an interdisciplinary team made of designers, engineers, marketers, psychologists, behavioural scientists. Use imaged thinking like symbols, stories and concrete objects to make the ideas living and tangible. Help marketing people to design the advertising and communication strategy. Tim Brown gives many examples of design thinking. Here is one of them. In 2004, Shimano, a bicycle component manufacturer faced flattening growth in its traditional high-end road racing and mountain-bike segment in US. This company relied mainly on technological innovations to drive its growth and tried to predict where the next one will come. But this time, Shimano invited the design firm IDEO to explore a broader approach. A team of interdisciplinary specialists from IDEO and Shimano, explored the cycling habits of Americans and found 90% of American don’t ride bikes. Further study showed that most of the Americans had a happy memory of cycling in their childhood and would like to go back to this simple vehicle. But they were intimated by many factors like the complexity and cost of the bikes, accessories and specialized clothing; dangers of riding on roads not designed for cycling; demands of maintaining a technically sophisticated bike which requires frequent maintenance. Based on these discoveries, the design team evolved a new design which can lure the American consumers back to cycling by providing a simpler, easier and more joyful cycling experience which they enjoyed as children. The new bike is built for pleasure rather than for sport. The design team, responsible for every aspect of what was envisioned as a holistic experience, came up with the concept of “Coasting.” Coasting would aim to entice lapsed bikers into an activity that was simple, straightforward, and fun. Coasting bikes, built more for pleasure than for sport, would have no controls on the handlebars, no cables snaking along the frame. As on the earliest bikes many of us rode, the brakes would be applied by backpedaling. With the help of an onboard computer, a minimalist three gears would shift automatically as the bicycle gained speed or slowed. The bikes would feature comfortably padded seats, be easy to operate, and require relatively little maintenance. Three major manufacturers—Trek, Raleigh, and Giant—developed new bikes incorporating innovative components from Shimano. But the design team didn’t stop with the bike itself. In-store retailing strategies were created for independent bike dealers, in part to alleviate the discomfort that biking novices felt in stores designed to serve enthusiasts. The team developed a brand that identified Coasting as a way to enjoy life. (“Chill. Explore. Dawdle. Lollygag. First one there’s a rotten egg.”) And it designed a public relations campaign—in collaboration with local governments and cycling organizations—that identified safe places to ride. The concept and practice of design thinking is a positive and promising trend in management thought. However, I would like to present here a more integral approach to this new discipline with a deeper experiential perspective. In this integral view, the main objective of design thinking is to provide a qualitatively superior experience to the customer than the one she is having now or provided by the competitor, at an affordable price. This requires a clear understanding of the basic structure of human experience in the context of customer satisfaction. Customer experiences may be broadly classified into following categories. Sensational and emotional which provides a sensuous or emotional pleasure, thrill or excitement like eating tasty food in a restaurant or the various kinds of entertainment. Aesthetic which gives an inwardly elevating experience of beauty, something deeper and higher than the sensuous or emotional joy, like Beethoven’s music. Cognitive which provides information, knowledge, insight or wisdom, like reading a book. Moral which gives ethical satisfaction like for example giving money or doing free service for a charitable cause or higher purpose. Spiritual which evokes the sense of the sacred or the divine. The integral ideal of marketing is to provide integral satisfaction to the customer in all these six dimensions of experience clusters. But this is an ideal which can never be fully or perfectly realized in the near future. The more practically feasible ideal is to provide a qualitatively superior or elevating experience to the customer by incorporating one or more of the higher experience-clusters into the product or service, which are absent in the present experience. For example if the present experience is purely material or functional we can add the emotional or aesthetic experience or if it is predominantly sensational or emotional, add a cognitive content to the experience. For implementing this experiential approach, the interdisciplinary and holistic approach of Design Thinking can be of a great help in arriving at an innovative and commercially-viable solution. The future challenge for the practitioners of Design Thinking is to figure out how to incorporate the higher order of experiences beyond the material and functional into products and services and make it into a commercially-viable and competitive offering to the customer. 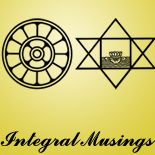 This entry was posted on May 28, 2012 by integralmusings in Integral Management.